This entry was posted on August 7, 2014 at 8:50 pm and is filed under 1980s, Heavy Metal, Heavy Metal and the 1980s, Music, Rock, Uncategorized with tags Black Sabbath, Blizzard of Oz, Classic Rock, Guitarists, hard rock, Heavy Metal, Heavy Rock, Ozzy Osbourne, Randy Rhodes, The 1980s. You can follow any responses to this entry through the RSS 2.0 feed. You can leave a response, or trackback from your own site. 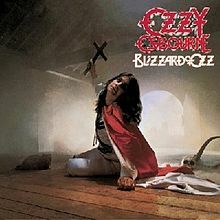 Still man that guitar playing on the Blizzard Of Ozzy is of the hook man…..
Also wish Ozzy would have ram with the name of his band Blizzard Of Oz…dug it….. Thanks and I’ve always dug Blizzard of Oz too. Black Sabbath would have headlined my dream concert and it would have started with Ozzy at the mike for about 45 mins to an hour and then he would have left the stage and Ronnie James Dio would have come out and sang for about the same time. They would have traded off songs on the encores and finished with a duette on Paranoid. Shame it can never happen now. This album is almost like a greatest hits in itself. Absolutely amazing that Ozzy pulled this off when he did, and RR certainly deserves a lot of the credit. If you don’t like this record, you don’t like Ozzy, period. 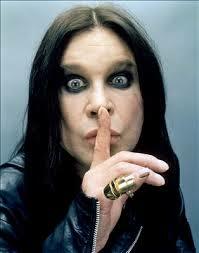 And if you don’t like Ozzy then you don’t like metal. Mike, you are so absolutely right on everything here. Very very big album! !, I like so much. Every song is a hot hit!!! OzzY OsbournE and Randy Rhoads are gods! Do you know the Japanese Randy Rhoads? They are and that boy should play with Ozzy full time. Looks like the petition succeeded, and when you consider some of the tax-avoiding no-marks who have been honoured maybe Ozzy’s official recognition might bring some integrity back to the system. He was made a Freeman of Birmingham, so he now has the right to drive his sheep through the city. I think he subtly shifted his style to suit the American market and with Rhodes alongside him found an effective formula; hook filled tracks and those guitars were an irresistable combination. That is good news about the petition but I didn’t know Ozzy owned any sheep lol. I think you’re absolutely right about the Ozzy/Rhodes combination, it was irresistable.